, and was revised several times afterwards. The present volume offers the most recent version. 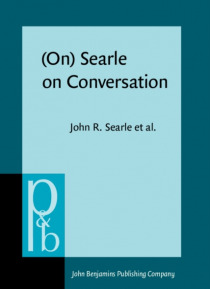 Because of the importance of the article for conversation analysis, and for pragmatics in general, the editors have put together Searle's target article, along with eight original comments. The volume closes with a 'reply to replies' by Searle. In sociolinguistic studies, intralingual code-switching has been given less attention than most other areas, and linguists' attitudes towards the use of non-standard varieties still often suffer from fallacies of prescriptivism. Czech, a clear case of a language having a Standard and a strong central vernacular with intensive shifting between them, offers many points of general interest to sociolinguists.